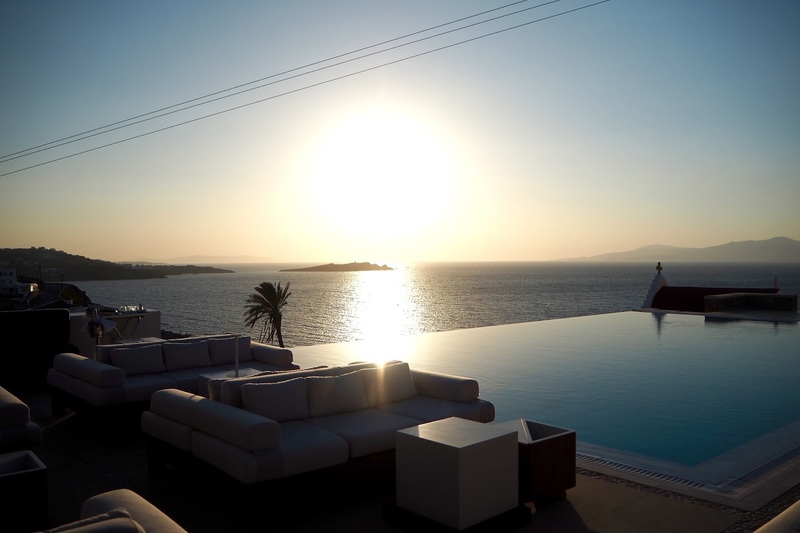 Located on a hill top overlooking the beautiful island of Mykonos, Bill & Coo boasts a rather enviable view of the iconic Aegean sea. 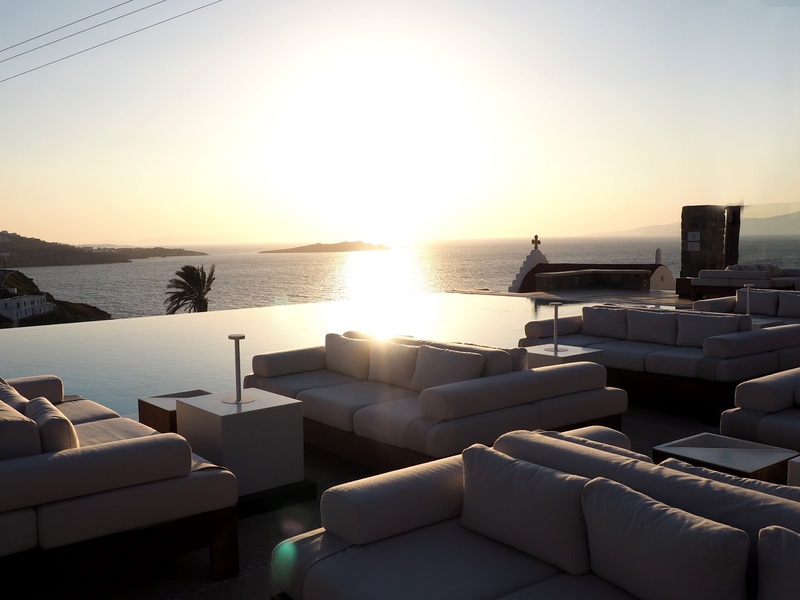 Not to mention, the infinity pool and views were quite literally breathtaking. This five star resort will make you feel as though you have quite literally stepped into your own private paradise. After being collected from the airport, in the hotels private Mercedes mini van we were greeted with bottled water and fresh hot cleansing towels which was the best touch after an early rise. A ten minute ride from the airport to the Bill & Coo suites, we were greeted by the friendly staff with warm smiles and open arms. 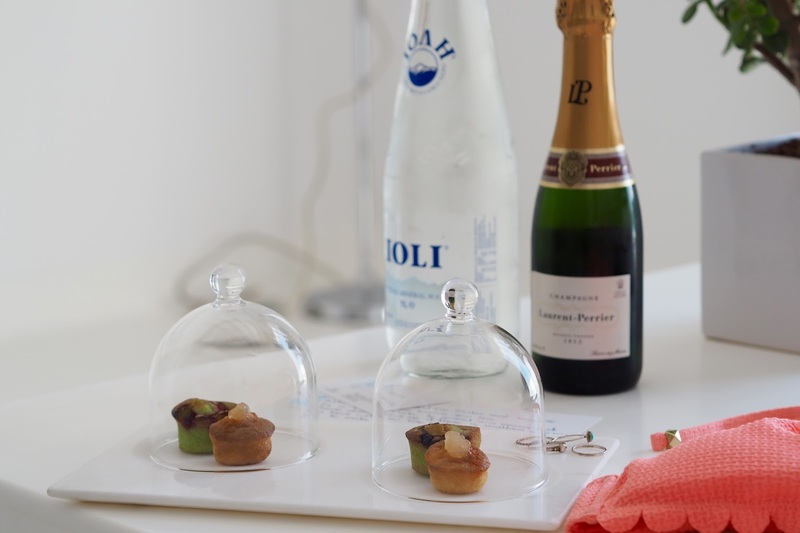 On top of that we were treated to welcome drinks and canapés, all these little touches only emphasised how Bill & Coo pride themselves on delivering a luxury experience to their guests. 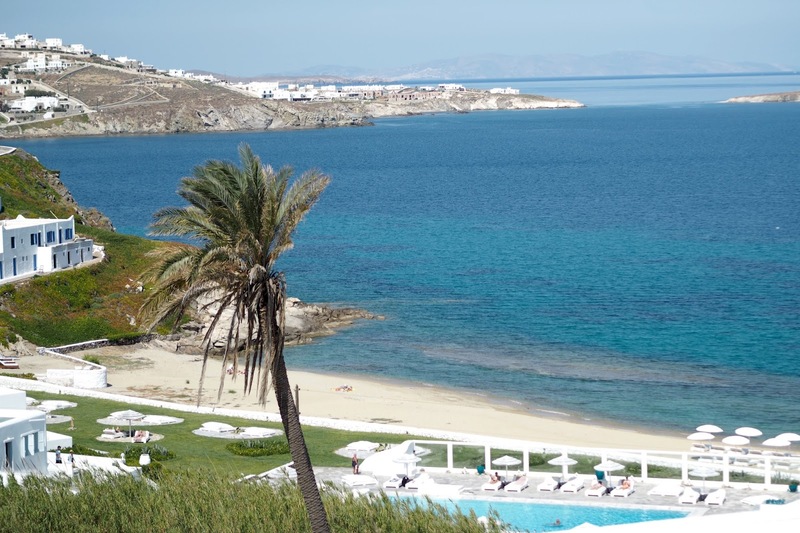 I have never visited the island of Mykonos but on first impressions, I knew this was going to be a trip to remember. I was already blown away. After checking in, Lucia and I went to our room to unpack and put on our bikinis. 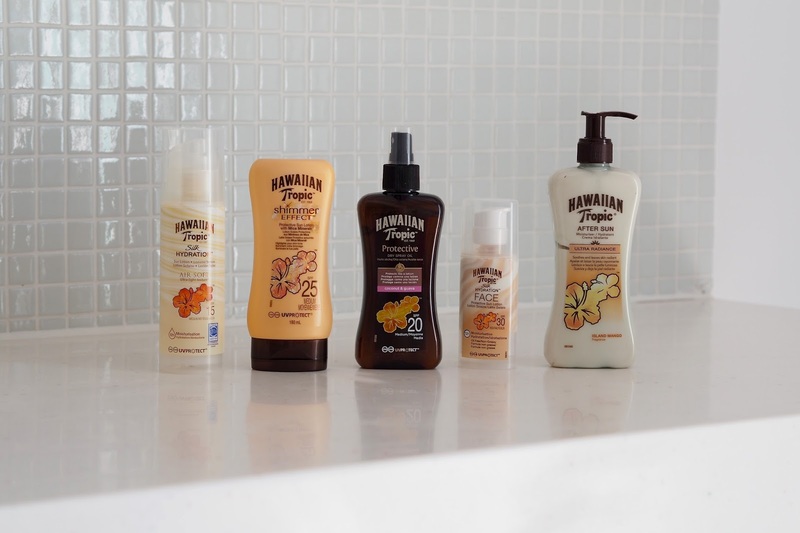 We wanted to make the most of the warm sunshine and beautiful poolside views. 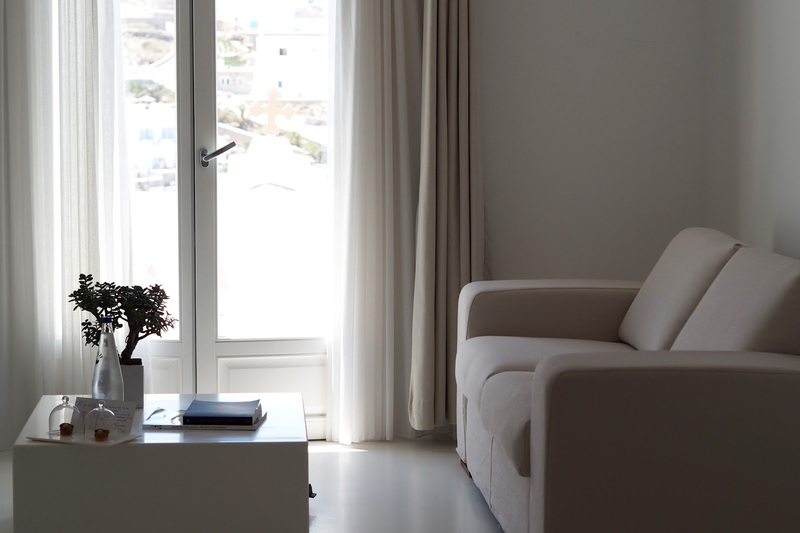 Our room was minimal, white and modern with Greek decor, basically an interior dream and very instagrammable. One thing that pictures cannot bring to life is just how comfortable the bed was. It literally felt as though you were sleeping on cloud nine so much so it was a struggle to get out of bed each morning. If it didn't get any better our pool side balcony offered the most spectacular views of the whole island. I made a conscious effort to go out each morning, just for this alone. I've given you a low down of the room, so it's time to talk food. Oh the food. Until now, I had never experienced a breakfast quite like it. 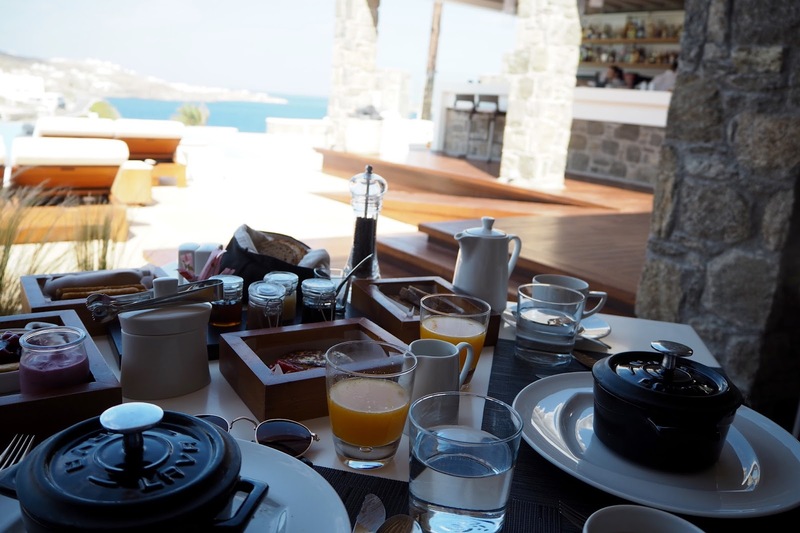 Each morning we were welcomed with a selection of coffee, fresh fruit and juices accompanied by home made bread, grilled meats and omelettes made to order. Whether its healthy, continental or an american style breakfast you're looking for you can quite literally start the day with anything your heart may desire. Lucia and I ordered the scrambled eggs with tomato and feta and I don't think words can even describe how amazing they tasted. 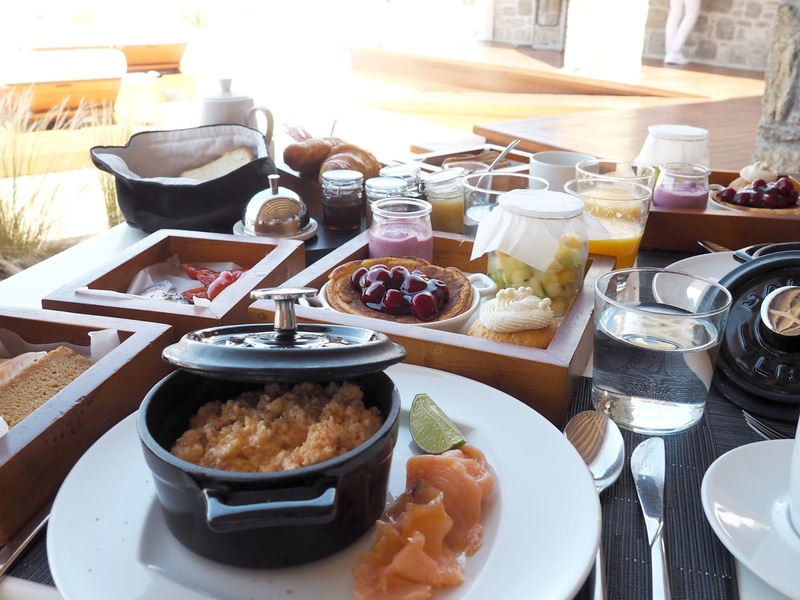 By far the best scrambled eggs I have ever tried, so much so we ordered it every morning during our stay at Bill & Coo. With freshly squeezed orange juice and filter coffee on tap, to say I was content would be an understatement. This combined with the breath taking views from the breakfast table gave me some memories I will never forget. I'm pretty sure I asked Lucia to pinch me on more than one occasion. 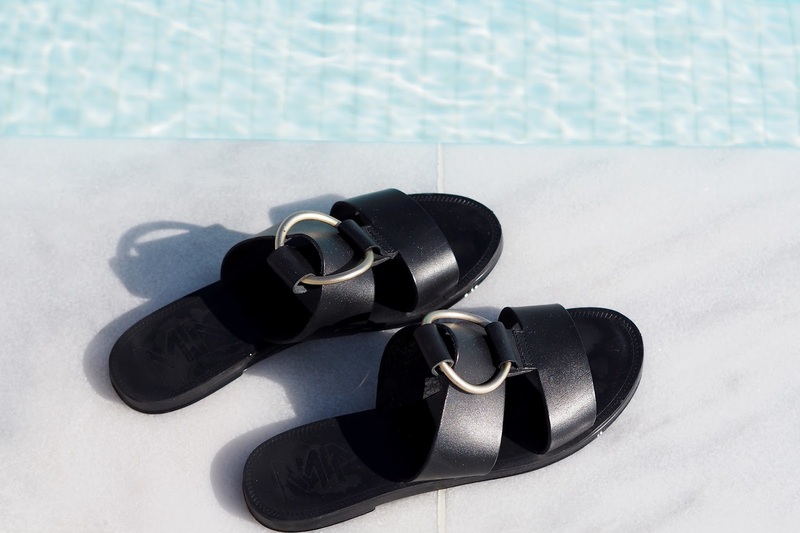 With sun beds and unlimited supplies of water you can spend your day lounging around the pool which would probably provide better views than the beach. Our favourite waiter Harris even came round and sprayed our face with Evian water mist which made Lucia and I laugh. One thing I will say is that the service we received was impeccable, I could not fault it in the slightest. All of the staff are so attentive and on hand to attend to your every need. Be that a cocktail order or directions on how to get around the island. One great aspect to staying at Bill & Coo is the location. 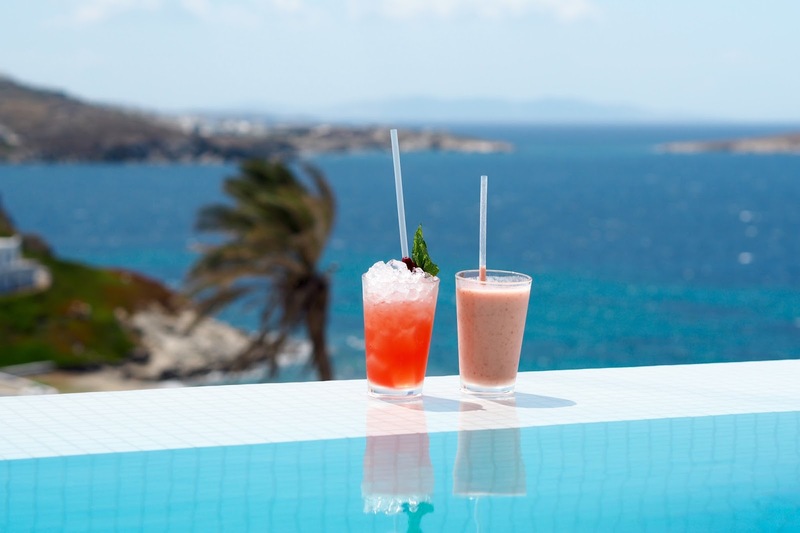 Less than a five minute walk from the heart of Mykonos town it also feels far away enough to have the peace and relaxation that you want from a holiday. I would like to say a huge thank you to all the lovely staff at Bill & Coo who made us feel so welcome and subsequently made our stay one to remember. You can visit the Bill & Coo website here for more information on planning a stay or follow them on Instagram. Also check out the #billandcoowayoflife hashtag for more amazing photos of this incredible hotel. I can promise you one thing, you will be utterly blown away.